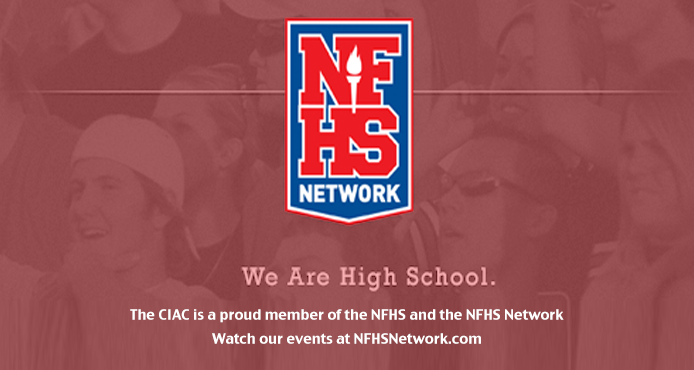 Last summer we asked fans to vote on the top-10 CIAC NFHS Network moments from the past season. 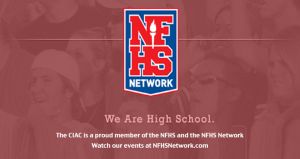 This year, we were feeling a bit less democratic and took the task upon ourselves to choose the top-10 plays, moments, highlights from an incredible season of CIAC NFHS Network action. It was a banner year for the Network’s CIAC coverage, with more than 140 postseason games and meets broadcast live. If you want to get in on the fun, consider joining the NFHS School Broadcast Program which helps schools make their own regular season and some tournament events available for broadcast. Now is also a great time to sign up for a season pass subscription for the upcoming season — it is the most cost-effective way to access all the content broadcast this season. With all that said, let’s take a look at the great moments from this past year. Choosing the top-10 plays from the past year was no easy task with all those games to choose from, but here is what we have. We start with the last basket from a game that arguably was one of the games of the year. Which hopefully tells you just how fierce the competition is to break into this top-10. Bridgeport Central looked done early in the second half of the class LL boys basketball final at Mohegan Sun. Fortunately for Connecticut high school basketball fans, that was hardly the case as the Hilltoppers roared back, setting up a thrilling final few minutes as the teams traded clutch baskets and the lead. Finally, Orhan Cecunjamin made the game’s decisive play, propelling Bridgeport Central to the title. Lists like these are often dominated by offense, so why not start with some stellar defensive work. Cromwell’s Ryan Murphy was one of the stars of a great weekend of fall championship play, notching several spectacular saves to help preserve his team’s Class S state title. Favorite part of this highlight (other than the jaw-dropping save) is the reaction of the person on the sideline, who CANNOT BELIEVE the ball didn’t go in. Also from that fall championship RHAM and Farmington played an absolute classic in the class L girls volleyball final. RHAM needed several comebacks in the third set to even see the match reach a decisive fifth set, and then trailed again late in the final frame. The team then managed to score the final four points of the match, punctuated by a final point that saw a little bit of everything — a great dig, tough blocking at the net, and then finally a precision attack to seal the title. Track & field fans were heavily anticipating the girls 1,600 at the Indoor Open Championship. Throughout the winter several competitors had been raising the stakes and producing great times and memorable races. It turned out they were just getting started. Danae Rivers, Hannah DeBalsi and Claire Howlett battled throughout the race before Rivers made her move with two laps remaining and held off DeBalsi at the finish for the victory. The race featured all three runners besting the previous State Open record and five runners total (adding Sarah Mattison and Cate Allen) breaking five minutes in the race. As a little extra icing, the win helped Rivers’ Wilbur Cross team edge DeBalsi’s Staples squad for the team title. Something tells me these ladies might appear again in this list. One more chance to recognize some defense. Thanks to some ugly winter weather the class LL football final between Southington and Fairfield Prep didn’t take place until nearly a week after it was scheduled. With the show the two teams put on, it was nearly worth the wait. The second half, in particular, featured numerous momentum swings and counter-punches, with Southington eventually coming up with more big plays, capped by this interception return which sealed its thrilling comeback win. We jump right back in with some football and one of the most dramatic moments of the postseason. By our count there were seven football postseason games decided by a single score or less, but the quarterfinal match-up between Daniel Hand and Darien was the one decided on the last play of the game with our NFHS Network cameras on hand. A full game of football came down to the right foot of Daly Hebert. It might have looked like a gimme, but as noted in the clip, there was a missed extra point earlier in this contest. This one…not so much. Maybe you have a way of determining which ice hockey overtime game-winning championship goal deserves to be ranked ahead of the other. As for me, I see no problem counting both these special goals as one moment if only to highlight the excitement that comes from a sudden-death goal in a packed hockey arena after three thrilling periods. So the fifth spot in our poll goes to Fairfield Prep’s Vincent D’Amore and Newtown’s Scott McLean with a pair of winning tallies. If those last two clips didn’t quench your thirst for sudden-death state-championship goals scored by players with sticks, how about Wilton finally finding a way through the Lauralton Hall defense to notch the only goal of the game with no time showing on the clock in overtime to win the class M state championship? Is that something you’d be interested in? This highlight isn’t entirely about the finish, or the race context — though that certainly helps. It is about the team accomplishment. It’s not just that Greenwich edged out rival Fairfield Prep with a strong final leg to win the 400 yard freestyle relay. It’s not just that in doing so, the team shattered the state record it had set just days before at the class championship (the runner-up Jesuits also broke that record, it should be noted). It’s that in the history of boys high school swimming, the clip we present here features the third-fastest time in this event. EVER (according to the NFHS Record Book). Anytime we are talking about that sort of rarefied air, it’s going to earn a high spot on a list like this. I told you we might be hearing from these ladies again. And really, the build-up and scenario was almost identical. And once again, Danae Rivers, Hannah DeBalsi and the other competitors put on a show. Just an unbelievable race. I think I’ve watched it at least 10 times, and each time I am convinced the other person is going to win. The number of times it seemed either DeBalsi or Rivers had made the decisive move, only to see the other battle back, is staggering. Tremendous competition. Our last two entries come from the spring season, suggesting perhaps a bit of recency bias in the voting. But it’s hard to argue with either one of these. The class LL softball final between Southington and Amity provided a little bit of everything (except much offense). The tension kept building, and building as Southington’s Kendra Friedt and Amity’s Katie Koshes continued to throw up zeroes and pile up strikeouts (37 in all). Finally, senior Rachel Dube provided a memorable ending to one of the most memorable games in CIAC softball tournament history.